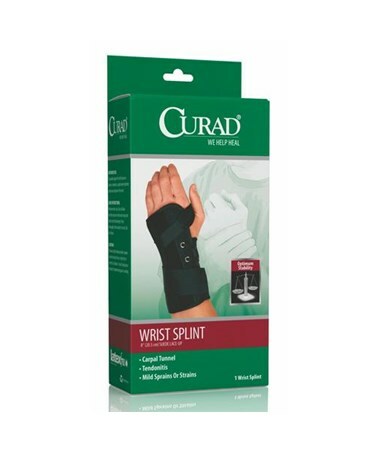 Curad's Lace-Up Wrist Splints are ideal for carpal tunnel patients, as well as tendonitis and mild sprains or strains. The splint provides optimum stability with its lace-up faux suede design, and is specifically designed for the left or right wrist. 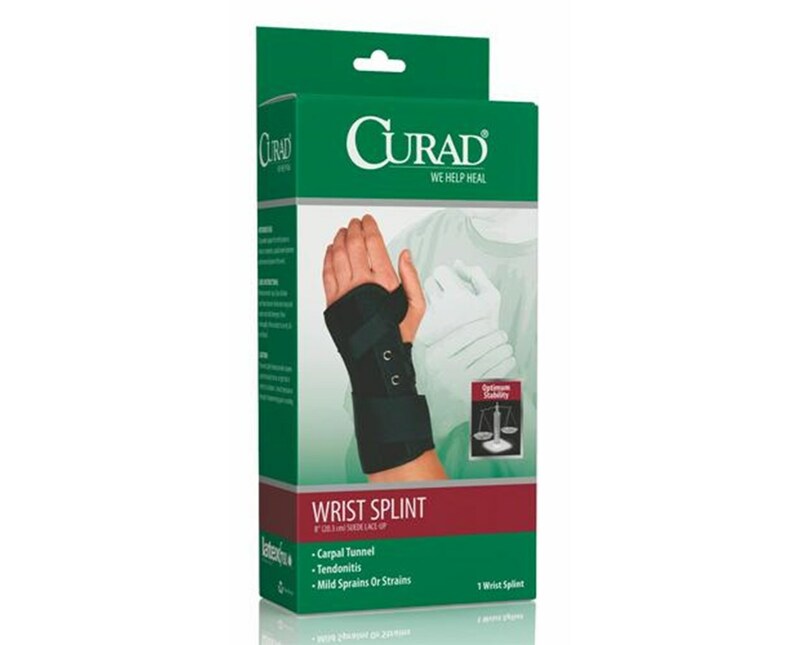 We offer Curad's Lace-Up Wrist Splint in five sizes, for the left or right wrist, and they are solid individually. Select from the drop down menu above.